Libraries and time travel/paradoxes are some of my favourite things. Although I did see the major twist in this coming (view spoiler)[ ie the identity of one of the main characters (hide spoiler)], it didn't take away the enjoyment of the story. 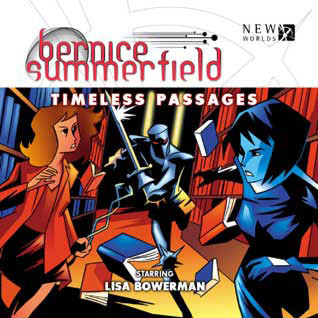 Benny is sent to pick up books from a planet that is bought by a corporation. While there she gets involved trying to save the life of a child and stop a killer machine from killing everyone around. Libraries, time travel, and an entertaining mystery: all the ingredients for a good story, well-executed.